Anthony Orlich is a litigator whose practice focuses on product liability and toxic tort defense work. Prior to joining Leader Berkon Colao & Silverstein, Anthony was a judicial law clerk for the Hon. Manuel J. Mendez, J.S.C., New York Civil Supreme. Previously he worked for a boutique litigation law firm that concentrates in products liability and tort litigation, as well as insurance defense. 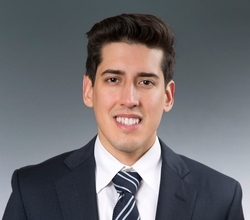 As a law student, Anthony was a notes and article editor for the Fordham Journal of Corporate and Financial Law and a member of the Fordham Law Tax Clinic. He was also an intern with the New York City Mayor's Office of Operatons, the Special Commissioners of Investigation and several other law firms.